DEVILLE FINE JEWELRY & DIAMONDS specializes in custom design of unique engagement rings, wedding, anniversary bands and jewelry. DEVILLE sources and selects the most beautiful GIA certified diamonds and finds the perfect stone for each buyer. We have a huge selection of diamonds in all shapes and sizes, color and clarity including fancy diamonds in yellow, pink, blue, brown and green! Our prices cannot be beat! We create one of a kind mountings that compliment each diamond. You can purchase diamonds and create your own ring, diamond studs and pendants on our site or visit us at our store in Houston. We Invite you to come to our Houston location. Since 1832, Bailey Banks & Biddle has been one of America’s favorite Jewelry destinations. We’re very proud of our fine selection and we invite you to enjoy our product line first hand at our store. We sell the most elegant pieces of jewelry from world-class brands. Whether you're looking for classic or modern pieces, you can check out our wide selection of jewelry. Come stop by today to look at our collection. Robsons Diamond Jewelers was founded in 1926 and has served the Harris County community for over 91 years . As a local , family - owned business , we know trust is something you earn and a reputation is something you build . 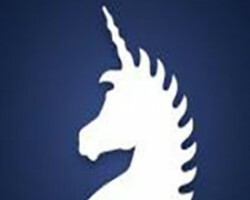 You won ’ t find hard - sell tactics or pushy sales people . Instead , you ’ ll find friendly faces eager to answer your questions and find the jewelry that fits your needs and your budget . Whether you need an engagement ring or a diamond, Come visit Robsons Diamond Jewelers. 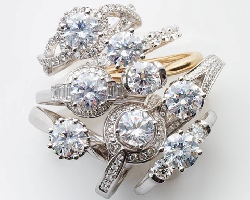 Diamonds by De Simone, a subsidiary of Jewelry Depot, has been in the business of selling engagement rings and wedding bands in Houston, TX and around the globe for over 40 years. Customers can choose from the best in custom, vintage, classic and antique diamond wedding rings by heading straight to Diamonds by De Simone. 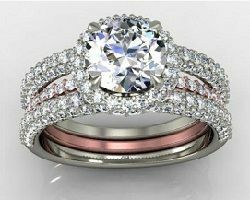 Here you will find unique and affordable engagement ring without sacrificing quality or service. Their 30 day return policy gives every buyer the piece of mind necessary when making such an important decision. Being 100% satisfied with your purchase is a priority at Diamonds by De Simone. For over 80 years, Deutsch & Deutsch has been sharing timeless jewelry and timepieces with their clients throughout Texas and the United States. Their unique selection of bridal engagement rings and wedding bands is certainly based on their experience in the jewelry business. “Where Life Happens”, a slogan Deutsch & Deutsch lives by, allows them to become closely involved in the selection process of your life’s’ special moment. Classic engagement and wedding rings in Houston can always be personalized when they are purchased at Deutsch & Deutsch’s Jewelry, thanks to the talents of those who work there. 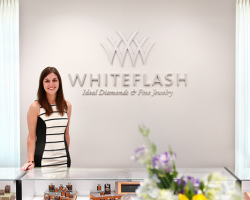 Whiteflash Ideal Diamonds and Fine jewelry is a true Houston treasure. Quietly offering the finest in diamonds and designer engagement rings since 2000, Whiteflash serves a local, national and international audience. Their boutique showroom in Sugar Land Town Square is a wonderful place to see their internationally acclaimed A CUT ABOVE® super ideal diamonds and to meet the winners of the 2015 BBB Pinnacle Award. 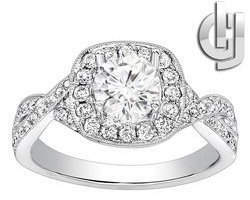 Inter-Continental Jewelers gives customers seeking Houston engagement rings the opportunity to purchase a unique custom diamond engagement ring at an affordable price. 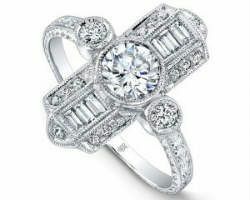 For those who prefer, vintage antique or classic rings, Inter-Continental is a better choice than many other jewelry stores in Houston, TX because of its selection of wedding bands for women and wedding bands for men. This is one of the Houston jewelry stores that sell engagement rings in sets, which is why engagement rings in Houston, TX are often purchased here. 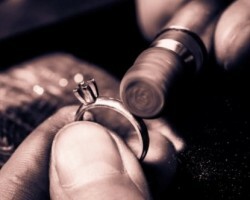 When it comes to finding wedding rings in Houston, Inter-Continental Jewelers is a very reliable source.